The morning began at approximately 3:04 am, when the company was dispatched for an Automatic Fire Alarm, at the Marshallton United Methodist Church, upon arrival the crews performed an exterior search as we could not gain access without breaking windows or doors. Having found nothing evident by looking through the doors and windows, and no alarm sounding the crews cleared at 3:54am, then at 9:36 am the company was dispatched again for the AFA at the Church as we arrived we found the parishioners entering the church for Sunday service, after entering the building we found that the fire pump was leaking and set off the alarm system, crews cleared at 10:08 am. 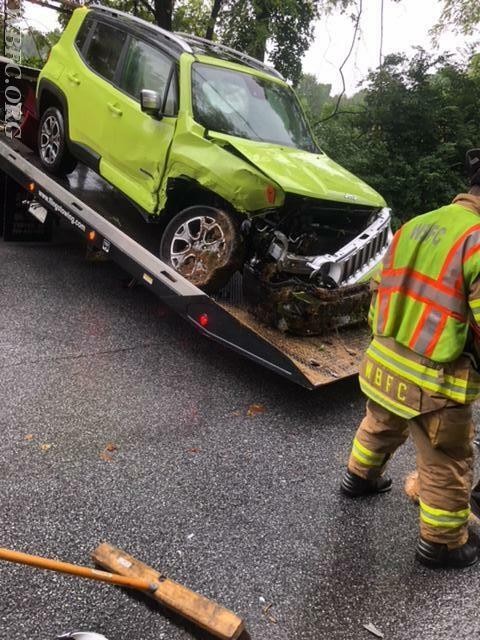 Returning to station and washing the apparatus we were alerted to assist Po-Mar-Lin Fire Co with trees and wires in their northern district of Newlin Twp, Chief 39 arrived to find a large tree blocking the roadway with wires involved and smoking. Station 36 and 39 crews barricaded the roadway and returned to their stations after about 25 minutes. 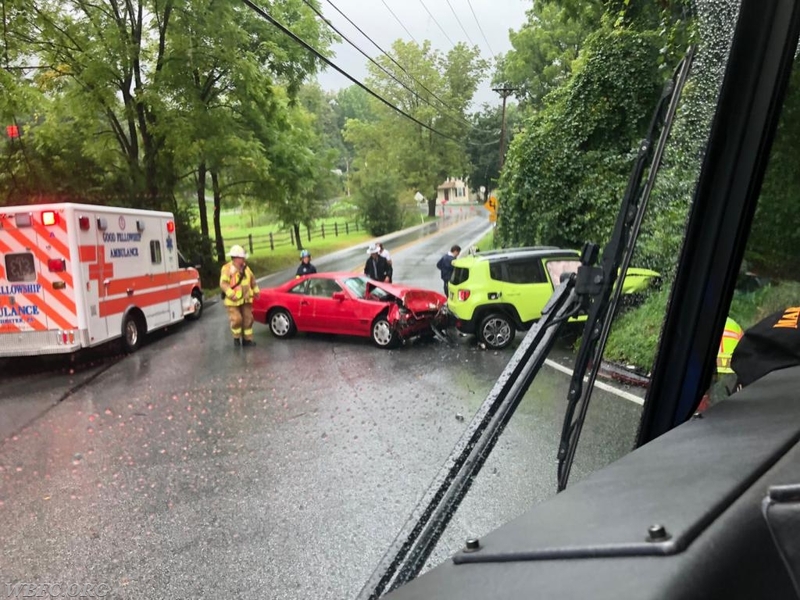 Finally around 1:20 pm, WBFC and Good Fellowship EMS were dispatched to Sugarsbridge and Telegraph Road for a 2 vehicle accident, reportedly with the vehicles blocking, units arrived to confirm the report. 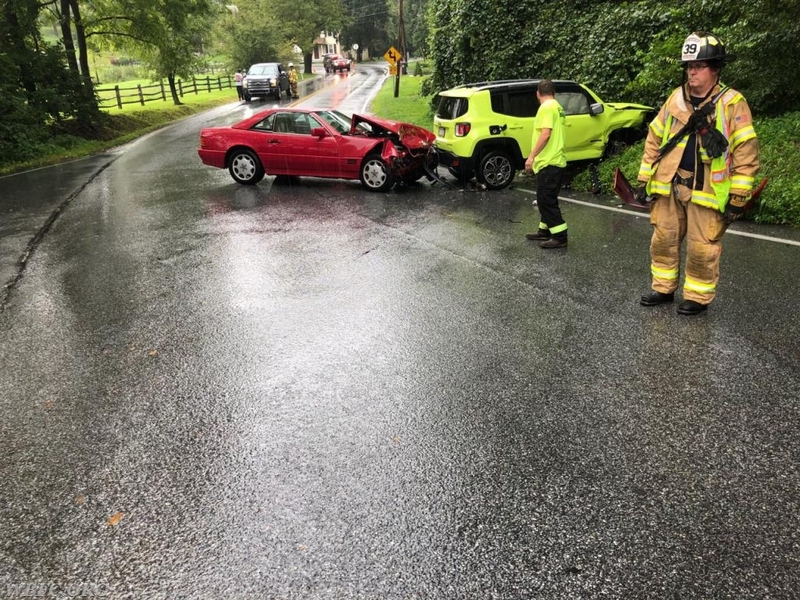 Fire Police closed Sugarsbridge Road at various locations while EMS treated and transported one patient and the 39 crews controlled the hazards until the tow companies arrived. Units cleared and returned to station at 2:25 pm.